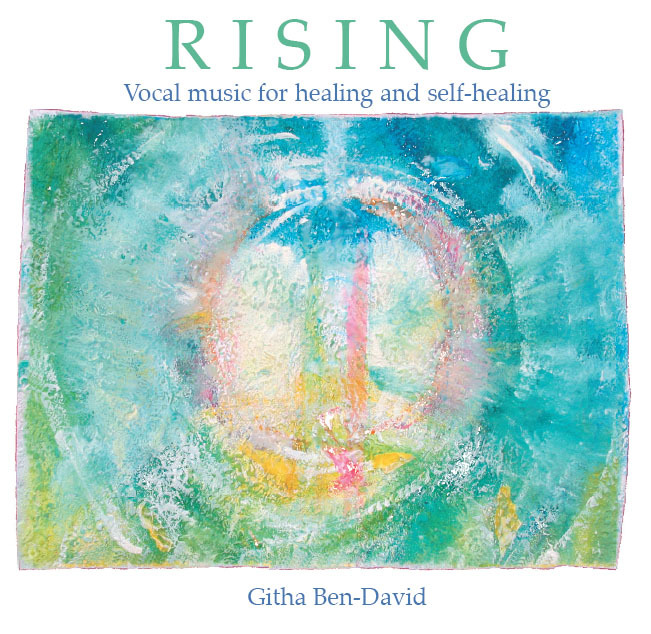 Track one - Rising: 39.44 minutes Choir (quintet), solo voice, ocarina, bambooflute, great grandmother's piano. Recommandation by Annie Soerensen: "I have heard "Rising" once or twice daily for the past six months and I am still fond of it. My work with Rising strengthens my breathing, and I am filled with energy and a feeling of weel-being. Before I could only manage 250 meters on my exercise bicycle. Now I can cycle 5 kolometers." A.S had lung cancer and conventional treatment no longer had any effect. Annie sang/listened daily for three years to Rising. When she stopped, after a month, she sadly passed away. Her work can help others: It seems like singing or singing to the notes of Rising (slow gradual, cromatic tranposing of the musical keys) can support the immunesytem to such a degree, that you can survive even a deadly cancer. The medical doctors told her she had maximum three month left, when she started singing with Rising. I thank you Annie for being so determinated and to ask me for making this album to support your idea, that cancercells do not like cromatical movements of sound. The voice with the birds in the introduction is my (at that time) newborn son, Ghil - he was on my arm when I recorded the birds in the garden. Track 2 Womb: 10.42 My midwife helped to do this recording of the sounds, that a baby can hear as an embryo. I do humming for the baby. The purpose of this track is to help people who has traumas from the embryostage. Track 3 Roots: 9.54 min. Choir (quintet) singing undertones, African drum, kalimba. This recording is for people who needs grounding or healing on their tisshues or bones. Put the feet or a hand on the speaker, and the vibration will be felt in the body. "Roots" can also be used by soundhealers/singers, who wish to practise to sing undertones. Theese notes are though not traditional undertones. Githa sings whatever comes to her - and she does not use any technique, besides relaxing and wishing to give people grounding. In Soundhealing/scanning with The Note from Heaven, the healer should ONLY listen. Therefore the notes that will resonate are the right notes. You should never force any special sound you can make atificially on anybody. The recievers body will call for exactly the sounds it needs. Therefor you should listen inwardly to feel what the body'sreaction is of these "Songs". What you feel is good, is good for you. Trust your self.